These are the powerful first lines (and the foreboding precursor) to a story about falling dangerously in love, set in the suburban backdrop of Melbourne’s inner west. Corporate lawyer David is fed up with his job and the way that it constantly drains away his happiness, but feels he is too ingrained in his role to leave. He doesn’t know what else he would do to support his lifestyle, and despite being a relatively talented artist, doesn’t believe he could leave the rat-race behind and take up drawing as a profession. One evening, after visiting the Sun Theatre to watch a film, he meets Elle Nolan, a former lawyer (who worked at his own firm, no less), and a blossoming filmmaker. She already has one critically-acclaimed romantic comedy to her name and is currently working on her second. The two share an instant connection, and quickly fall for one another. The relationship is fast-paced, and before long, the two are living together. Elle is David’s chance at happiness, and she, blinded by the idea of romance, sticks by him, despite his sudden mood-swings and irritability, which show themselves only a few months into the relationship. But David’s demons, which continue to torment the relationship despite his ‘love’ for Elle continue to fester, and before long, he finds himself actively damaging that which he wants to preserve. Worst of all, he is unable to comprehend the problems he is causing, and lays fault at the feet of Elle, who is still living with the hope that their relationship’s rocky patch will ultimately smooth out. After several breakups and makeups (and less than two years into the relationship) David seeks counselling, the couple wed, and Elle hopes that the ‘good David’ will stay indefinitely. But how do the novel’s opening lines fit in? Over the course of one ill-fated night, readers are introduced to David and Elle, as they recount their tragic love affair. The author, in essence, begins at the end of the novel, in order to tell the story of ‘what came before’. As is indicated above, David, in a fit of rage has killed his wife and records his confession into his Dictaphone. Meanwhile (paying homage to stories of hauntings and the afterlife), Elle hovers over her lifeless body and attempts to make sense of what went wrong between the pair. Their interpretations of their relationship are both similar and separate, made up of triumphs and despair. Their love is dark and dangerous, and it isn’t until she is ‘set apart’ from her body that Elle realises exactly what kind of woman she has become as a result of it. I think the main reason this novel made such a huge impact on me was because of the locality. Every time the author mentioned a street name, place or suburb, I could picture it in my mind, having travelled along, visited or lived there in the past. Her references to specific (and real-life) Victorian court cases covering family tragedies also brought to home the realism of the storyline. These cases indicated, through true events, the likelihood that the novel’s grim situation could actually happen, and could even be happening to someone right now. This is a turbulent psychological thriller, which makes readers question love, and the risks people take for it. 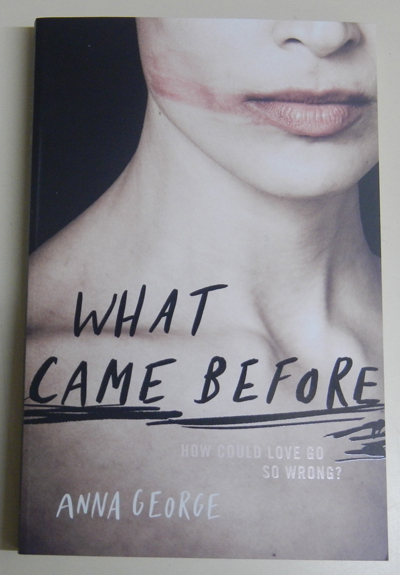 With themes covering domestic violence, emotional attachment and corrupt love, this dramatic debut novel is compelling, insightful and just a little bit disturbing, but nevertheless, a highly recommended read.